First Wednesday’s April Salon will be held on April 4th, 2012, with the salon running from 6:30pm to 9pm. Photographers Alex Emmons and Steve Fitch will be presenting work. 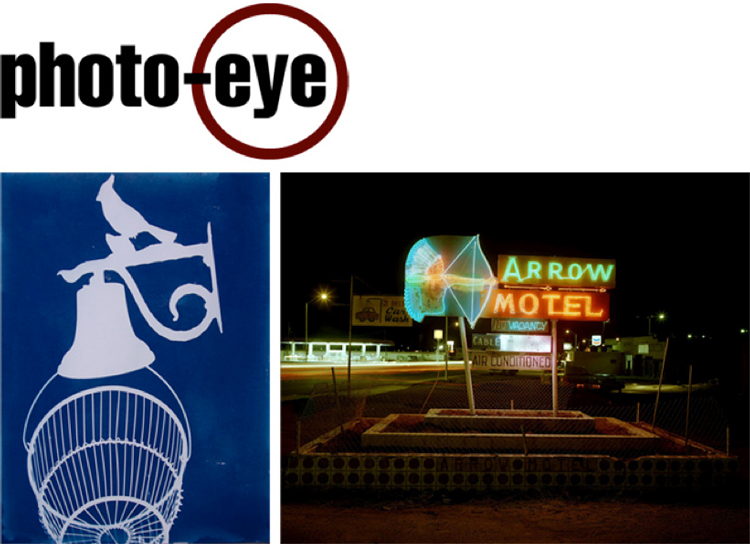 Fitch will show his work documenting motel signs, drive-in theatres and other emblems of vernacular highway culture. His exhibition Highway Culture is currently on display at photo-eye Gallery. Emmons will feature work from her series House and Garden, a series of cyanotype images that record objects and plants in the ubiquitous, present-day backyard. This work is currently on display at the Marion Center of Photographic Arts at Santa Fe University of Art & Design. See more of Steve Fitch's work can be seen online at photo-eye Gallery. Read Anne Kelly's interview with Steve Fitch here.